This blackberry chia pudding is delicious for either breakfast or dessert! Since making the raspberry chia drink, I’ve been keen to try out more chia seed recipes! Like most chia dishes, this one needs some advance planning – but it is definitely worth it! Chia seeds contain a high amount of fiber and are almost zero carbs, which makes it an ingredient I am very interested in! I’ll be honest and say the texture isn’t pleasing to everyone, but I love it! Prepare the chia pudding the night before you want to eat it. In a bowl, mix together chia seeds (I used white chia but regular black ones would work fine too), unsweetened almond milk, vanilla extract and some sweetener to taste. I prefer to use powdered sweetener like confectioner’s Swerve as it dissolves into the milk better. 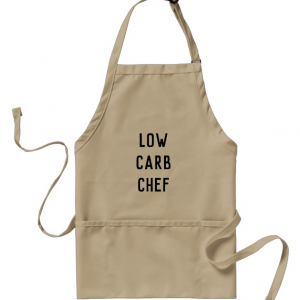 Stir well, cover, and leave in the fridge overnight. 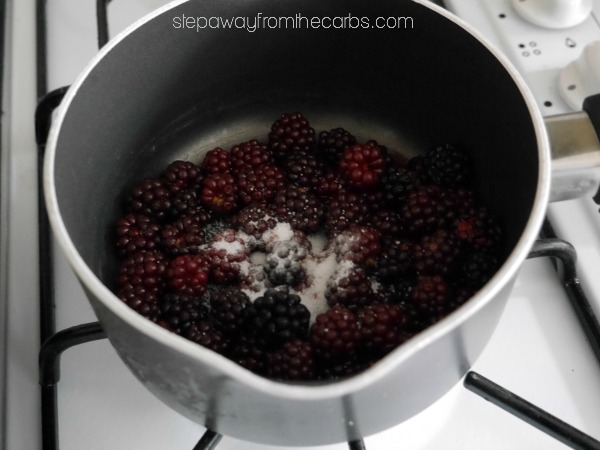 The next day, prepare a quick blackberry sauce by slowly cooking them with a little sprinkle of sweetener. No water or anything else needed! Give the chia pudding a good stir – the seeds will have swollen and absorbed the milk. Spoon it into some serving dishes and top with the blackberry sauce. I really like the combination of the cold pudding with the hot sauce, but you might prefer to have it all cold, or all hot! This would also work really well with other berries! Mix the chia seeds, almond milk, vanilla and powdered sweetener in a bowl. 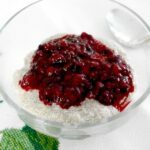 The next day, make a blackberry sauce by slowly simmering the fresh blackberries and teaspoon of sweetener in a saucepan. 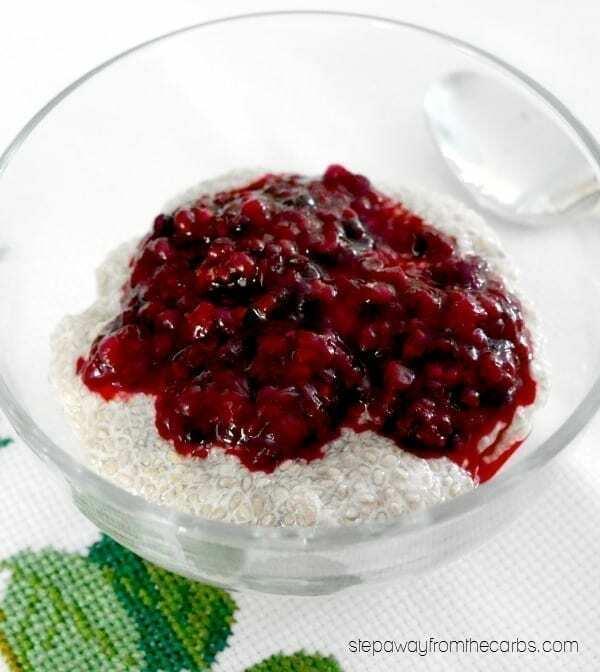 Spoon the chia pudding into a serving bowl and top with the blackberry sauce. 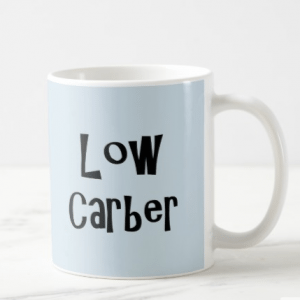 6g net carbs per serving. 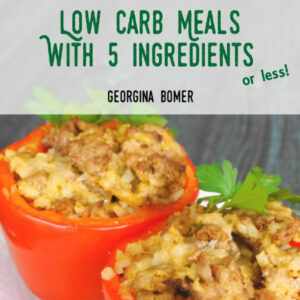 Check out my Low Carb Ebook - all Five Ingredients or Less! 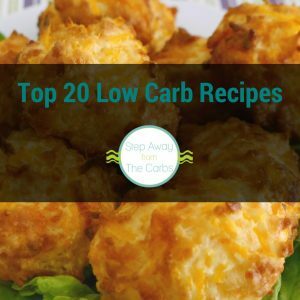 If you're too tired or too busy to prepare complicated low carb meals, then this is the recipe book for you! Where do you get white chia seeds? All I have found is black.